We like to think of ourselves as a solution provider, not just a manufacturer. We rely on close collaboration with our customers to understand the needed capabilities of the parts and the supply chain. In many cases, our customers find that the parts they need can be tweaked for greater manufacturability at a lower cost even while exceeding the initial specifications. We get involved from creation to completion, working with suppliers to develop value stream solutions that create the best supply chain for our customers. This allows us to ramp production up or down depending on the needs of our customers. 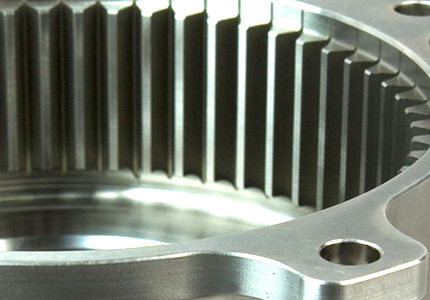 We offer lathe, milling, gear cutting, ID and OD grinding, honing, and broaching all on the latest CNC equipment and 100% of this work is performed “in-house.” This allows us to maintain our own high quality standards throughout the entire manufacturing process. Our parts typically range in size from 1/8 inch up to 12 inches with the average part in the 2-3 inch rage manufactured from carbon steel, stainless steel, aluminum and other standard aircraft metals. Some parts can be produced in as little as six weeks and we also offer complete assembly. The Boeing KC-46 is a military aerial refueling and strategic transport aircraft developed for the United States Air Force. Although it uses the 767 as a base, its actual capabilities and specifications are very different. As a supplier to this project, we reviewed design and specification prints prior to manufacturing. After analysis, Lee’s Enterprise was able to add value to the customer by suggesting several changes. The material of the part was changed to reduce distortion and several features were modified for improved manufacturability. As a result, we were able to make an improved part with greater capabilities for a reduced cost over the original estimate. To find out how we can apply the same process to your parts, please contact us.